Kara Alura Kent is growing up in the 21st century, daughter of Lois and Clark Kent. Named after her long-dead aunt, Kara Zor-El, and her maternal grandmother, Alura El, she has nevertheless been raised as a thoroughly human girl. Growing up in a suburb of Metropolis, she's never revealed her special legacy to anyone, other than her two best friends, Robert and Jeremy. They call themselves the Three Musketeers, and have been friends since Kindergarten. The Earth is now in danger. The Amazons of Themyscira are in revolt, led by Lena Luthor, the daughter of her father's old nemesis, Lex Luthor. Lena and the Amazons have decided it's time to fix the problems on "Man's World". 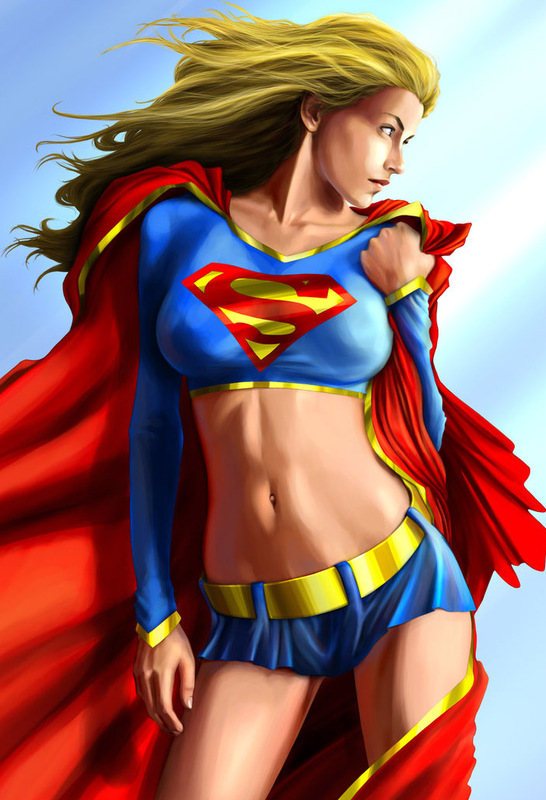 Kara is forced to put on her Aunt Kara's uniform and try to stop the Amazon Imperative. But she's not the white-bread child of a Kansas upbringing like her father. Having Lois Lane for a mother, a force of nature in her own right, and a father who is the greatest superhero the world has ever seen, not to mention hanging out with Bruce Wayne, the famous Batman, she's also a child of the digital age. An iPod headphone has been sticking out of her ear since she was six, and she's as much home on the internet as she is in a shopping mall or deep in space, exploring the caverns of Mars. But after the Amazons knock her dad out of commission, thanks to Lena Luthor and her infamous father's collection of meteor rocks, the fate of the world suddenly rests on Kara's slender shoulders. Is she ready to live up to her famous legacy and save the world, just as her father has done so many times? Credit goes to DC Comics for initial character creation, and inspiration from the Smallville TV series, as well as to the Aurora Universe writers. The reading order is Amazon Imperative - First Contact, followed by the Kara's Diary entries, the story of her growing up, told in her own words. Following that, the dramatic action that opened in First contact will continue in the coming weeks under the Amazon Imperative heading below.